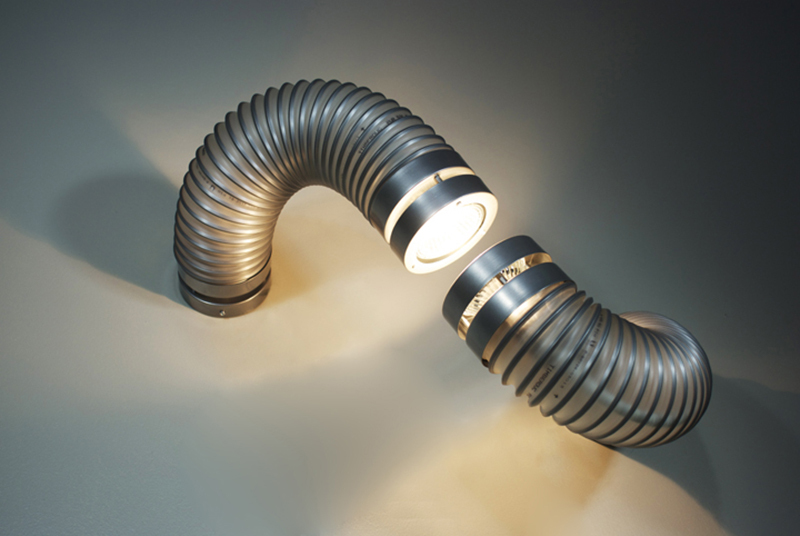 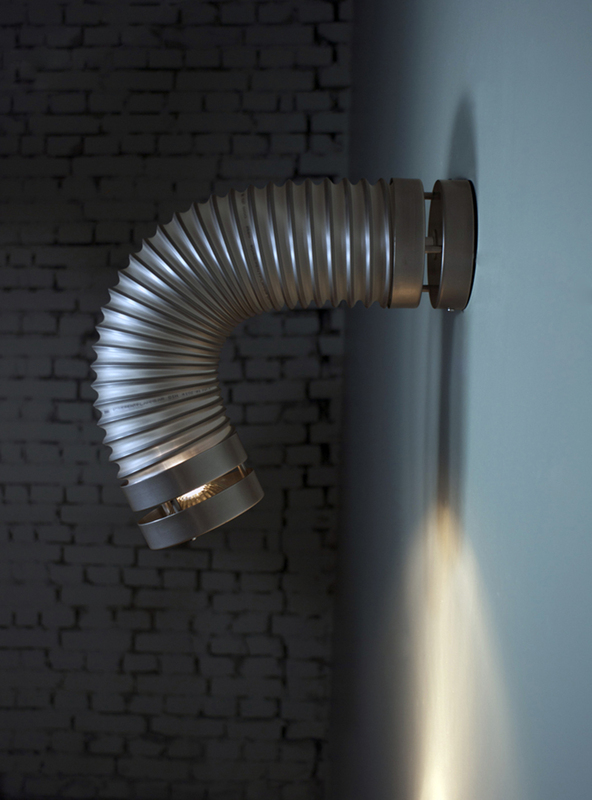 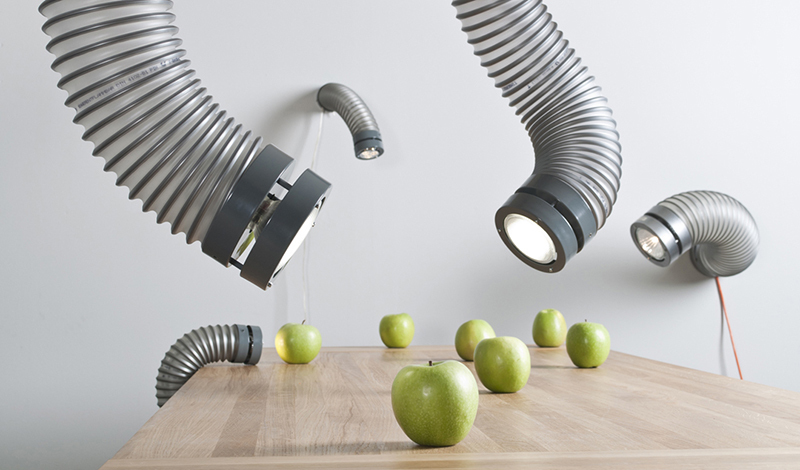 Designer Margus Tribmann has created Throat, a series of lamps for KEHA3, that were inspired by industrial ventilation pipes. 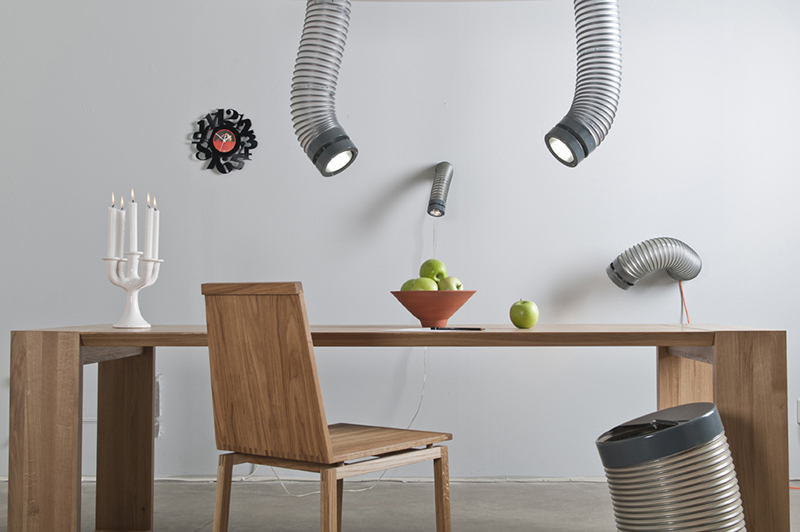 The luminaire is flexible and freely directable. 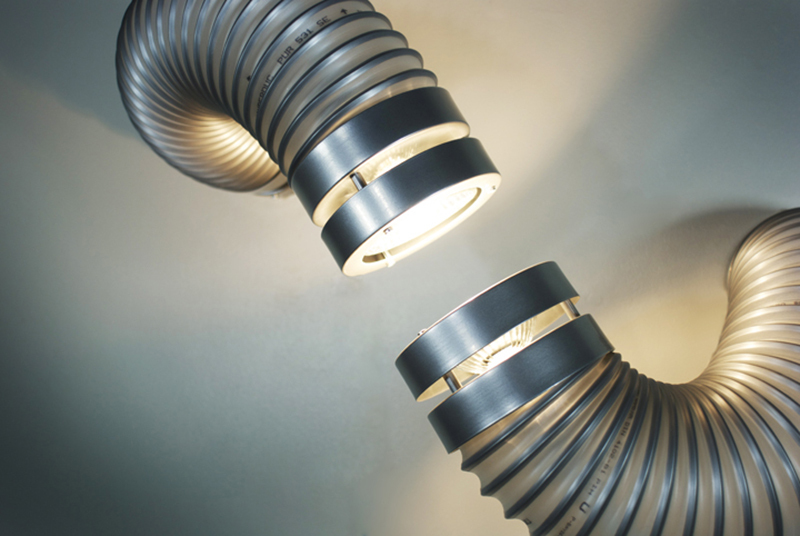 Industrial design language implies to its durability and a wide-range choice of dimensions of spring tubes used in industy create a prerequisite for creating a versatile luminaire family. 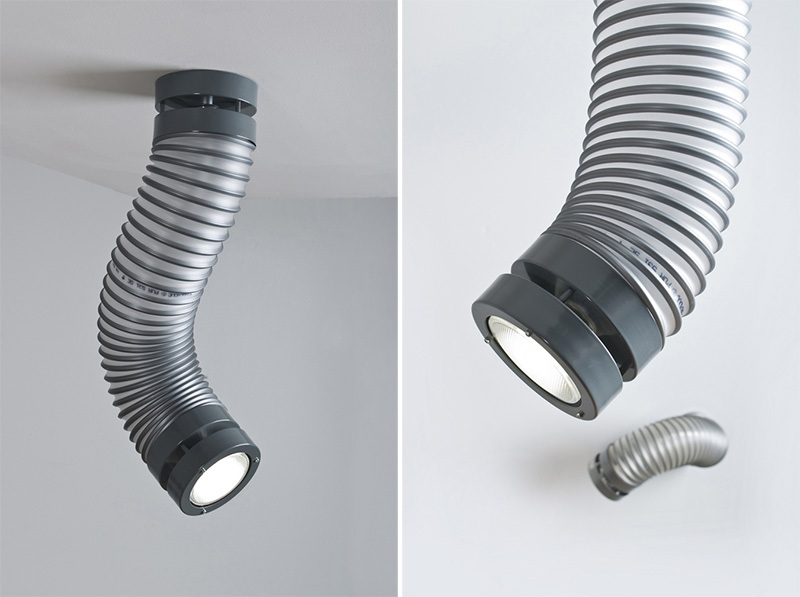 The metal throat element ensures the directability and fixing of the luminaires and the polyurethane-covered flexible metal spring takes care of the final finishing. 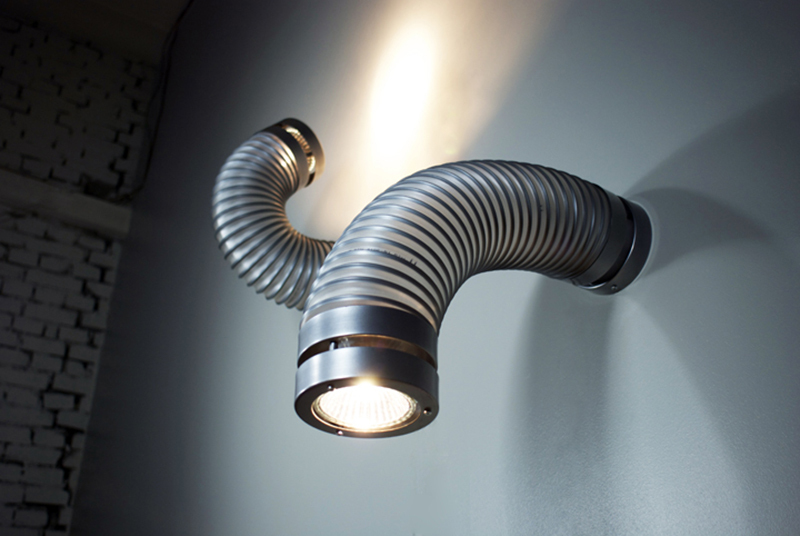 Throat luminaires can be used as ceiling and wall lamps; they suit to home environment as well as public rooms.